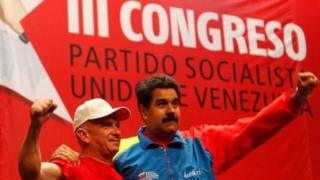 The former head of Venezuela's military intelligence has been arrested by Spanish police over US drug charges. The US Justice Department, which originally unsealed the charges in 2014, has requested Hugo Carvajal's extradition. Mr Carvajal was a close ally of the country's late socialist leader Hugo Chavez, but in February denounced his successor President Nicolás Maduro. He has backed Juan Guaido, an opposition figure, as interim leader. 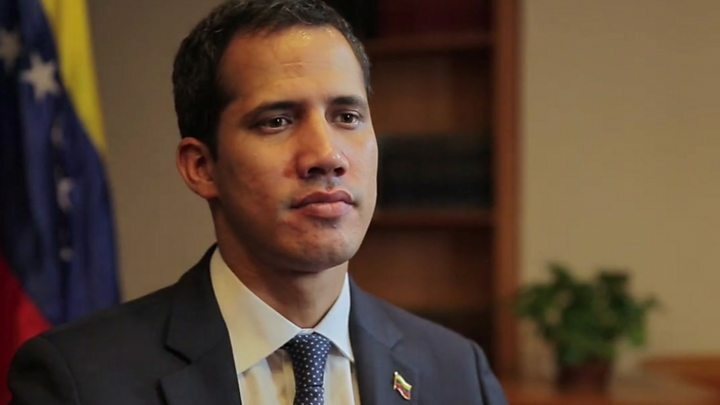 Mr Guaido declared himself president in January, citing Venezuela's constitution, and has since won the backing of dozens of countries including the US - which is spearheading international pressure on President Maduro. Despite widespread protests, Mr Maduro has so far largely retained the military's support and also has powerful international allies. What is Mr Carvajal accused of? Known as El Pollo (The Chicken), Mr Carvajal was a leading figure in Venezuelan politics for decades. He has been under US sanctions since 2008, over allegations he helped Colombia's Farc rebel group and protected US-bound drug shipments. Federal charges, which accuse him of co-ordinating a 5,600kg (12,345lb) shipment of cocaine from Venezuela to Mexico in 2006, became public in 2014. That year he was arrested on the charges on the Dutch Caribbean island of Aruba, where he was serving as a consul, but he was freed after the extradition request was denied. Mr Carvajal returned to Venezuela to a hero's welcome, but publicly broke with the country's leadership earlier this year. In a video posted on social media in February, he publicly threw his support behind Mr Guaido and urged other military figures to do the same. An unnamed US administration official has told Reuters news agency that it is hoped Mr Carvajal could co-operate and offer valuable information on the Venezuelan leader. It is reported that the former spy chief will appear before Spain's High Court on Saturday, where the extradition request will be reviewed.